We are fortunate to have excellent partner hotels in both Jerusalem and Tiberias. Both are family run and have shared our pilgrim journey improving continually with changing times. 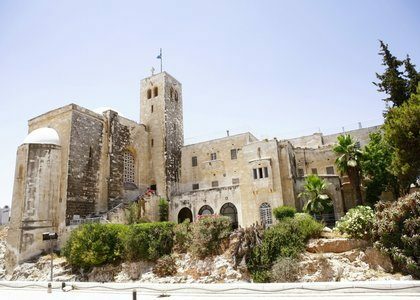 In our opinion the Jerusalem Golden Walls hotel and the Tiberias Ron Beach hotel are ideal pilgrimage bases. The staff understand our needs and provide them. 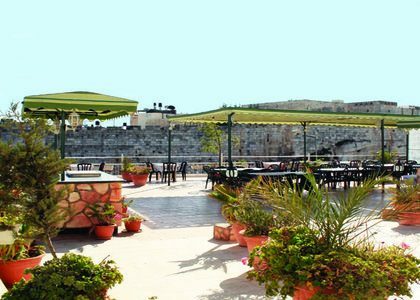 Jerusalem’s best-located hotel has been the McCabe base in the Holy City for more than twenty years. Facing the Old City walls it is less than fifteen minutes walk to the Holy Sepulchre. Owned and managed by the Nashashibi family, it is graded three-star plus. Rooms have private facilities and are double-glazed with modern air-conditioning, television and hairdryers! The hotel has a roof terrace which overlooks the city walls and an excellent group meeting room. You will feel at home here with welcoming staff and excellent cuisine. All-in-all the hotel has an atmosphere ideally suited to a pilgrim party. Again we are proud to say that the best located hotel in Tiberias has been the McCabe base for more than twenty years! The Amsalem brothers built the hotel and still supervise every aspect of the operation: this is a family hotel in every sense. 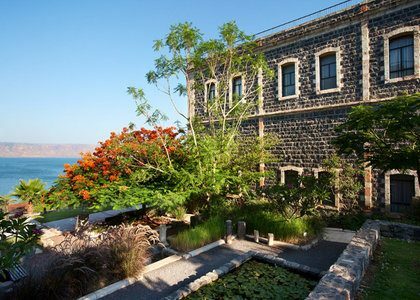 You can swim in the Sea of Galilee almost from your bedroom door! Rooms have private facilities, air-conditioning, balcony, television, hairdryer and a small fridge. Facilities include an excellent restaurant and separate bar area, meeting room, swimming pool and lovely lakeside gardens with easy access to swim in the lake. Watching the sunrise over the Sea of Galilee from your balcony or while taking an early morning swim is an unforgettable experience. A highly recommended alternative is the new Scots Hotel owned and managed by the Church of Scotland. The Church of Scotland have made a massive investment in this property bringing it up to five star standard. 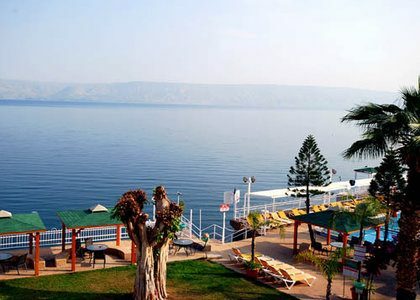 The hotel is in the centre of Tiberias overlooking the lake with lovely gardens and a swimming pool. Rooms are deluxe and dining first-class. There is a supplementary charge of about £30 per night to stay here. This Scottish Guest House offers a combination of comfort, location, and style. Looking across the Hinnom Valley to the Jaffa Gate, with a spectacular view of the old and the modern city, it is within easy walking distance of both. It is owned and managed by the Church of Scotland.